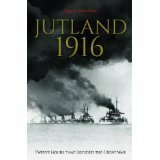 Angus Konstam is an author who specialises in maritime and military history. He is also an international authority on piracy, but claims he is losing the battle to separate pirate fact from piratical fiction. Born in 1960, Angus was brought up in Orkney. Although he no longer lives there, he still thinks of these beautiful islands as home. He then spent six years in the Royal Navy, and claims that the Senior Service gave him grounding in naval life, seamanship and navigation – all useful material for a maritime historian. He also sailed the waters of the Caribbean, a region he’d later describe in his studies of piracy. Next he studied for a Masters Degree at the University of St. Andrews, specialising in Renaissance maritime history. Many years later this resulted in Sovereigns of the Sea (Wiley, 2008), his acclaimed study of early sailing warships. After a brief spell as an underwater archaeologist, Angus became a Curator of Weapons at the Royal Armouries in the Tower of London. He evolved into an expert in weaponry of all kinds, but his first love was the sea, and so after ten years he moved to Florida, becoming the Chief Curator in a Key West maritime museum. It was there that the piracy bug first bit, an enthusiasm which resulted in the bestselling The History of Pirates (Lyons Press, 1999). Since then he followed up this success with Blackbeard: America’s Most Notorious Pirate (Wiley, 2006), Piracy: The Complete History (Osprey, 2008) and The World Atlas of Piracy (Lyons Press, 2009). Of course, Angus has another keen interest – military history. He has written dozens of military and naval titles for Osprey Publishing, including the histories of several major battles, from Pavia, 1525 to San Juan Hill, 1898. His latest book in this field was Salerno, 1943 (Pen & Sword, 2007), one of the few studies of this important battle. More recently There was a Soldier (Hachette, 2009) drew on first-hand accounts to offer a detailed portrayal of the Scottish soldier at war. 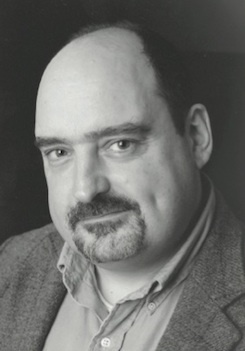 Angus now works as a full time author and historian, and lives in Edinburgh. 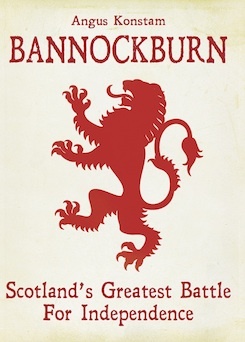 He makes frequent television appearances as a “talking head” (either as a pirate expert or as a military historian), and is the Chair of the Society of Authors in Scotland. He argues that one of the benefits is that he attends regular Society meetings in London, which gives him the chance to check that his agent is earning his fee. For years I was represented by another literary agent, who, while very good, wasn’t really a specialist in historical non-fiction. I became a bit discouraged when I realised that almost all my book deals were ones I’d arranged myself! I began to ask publishers or editors who they’d use if they were looking for an agent. I also asked several respected historians who they’d recommend. Both groups came up with the same name – Andrew Lownie. I contacted Andrew, and not only did he agree to see me that weekend, he also took me on board. Now I have an agent who not only has a firm grasp of the market, but who can offer sage advice when I need it, delivered with Andrew’s great personable aplomb. Bloomsbury have bought World English rights in two books from naval historian Angus Konstam. 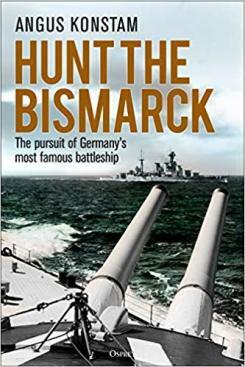 Hunting the Bismarck: The pursuit of Germany’s most famous battleship will be published in 2018 and Mutiny on the Spanish Main , the dramatic story of HMS Hermione, a British frigate whose crew mutinied in 1797, in what was regarded as the most bloody revolt in British naval history, published in 2019. 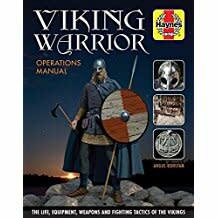 Haynes have commissioned Angus Konstam to write a new book in their manual series The Haynes Manual of the Viking Warrior. 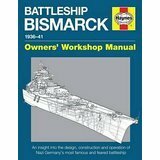 Following his Haynes manual on the Bismarck, Angus Konstan has been commissioned by Haynes to write The Haynes Manual of the Viking Warrior .